Do You Need A Non Domestic EPC? As with residential housing, business and commercial premises need an Energy Performance Certificate before they can be let or sold. Therefore, you’ll need to have the non domestic EPC in place before you can exchange contracts with a prospective buyer or leaseholder. Many people think they can only get the survey arranged through their letting or property agent, but it’s far simpler to book direct with a specialist, such as A & C Energy Surveys, and get both personal service and competitive prices. What Is The Purpose Of The Non Domestic Energy Performance Certificate? The certificate will rate the energy efficiency of your premises. A is the top grade for efficiency, G the lowest. What really matters though, is that the report recommends cost-effective, and achievable, ways to upgrade the building’s rating. This is where using a specialist firm, which can give expert advice, can make all the difference. Their report will tell you the rating that the building could achieve with the recommended improvements in place. The report is particularly important for landlords and building owners because since 2018, the Minimum Energy Efficiency Standards (MEES) have come into force. These make it illegal to rent or lease a commercial premises unless it has a non domestic EPC rating of at least E.
There are some exemptions to these regulations – for example, places of worship, some temporary buildings, some agricultural buildings and so on. At A & C Energy Surveys we have an in-depth understanding of the legislation and can advise on whether your building falls within its scope, or is exempt. We have up-to-date knowledge of all the equipment, materials and technology that are available to help improve a building’s rating. It’s not always necessary to go for the most expensive solution. What matters, is the complete cost / benefit profile of the solution you adopt. We can provide you with costed options, including those improvements that have the potential to cut your energy bills in the long term. 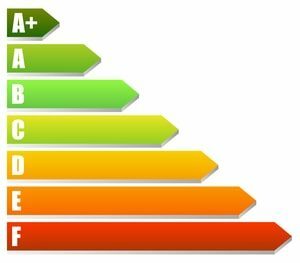 With penalties of up to £5,000 for not having an EPC, a professional survey and report from us will put your mind at ease, by ensuring that you are compliant with regulations. Once issued, the certificate lasts for ten years, unless you make further improvements, and undertake another survey to achieve a higher non domestic EPC rating.